Aizu is a beautiful mountainous area of the Tohoku region in northern Japan - located to the north of Tokyo and within easy reach of the capital city. The region is home to over twenty individual ski and snowboard areas and they offer a big choice of terrain, often excellent powder snow conditions.... and also often un-crowded slopes! The region is known within Japan but not yet so much with overseas visitors. There are two main areas within the region where ski resorts can be found. 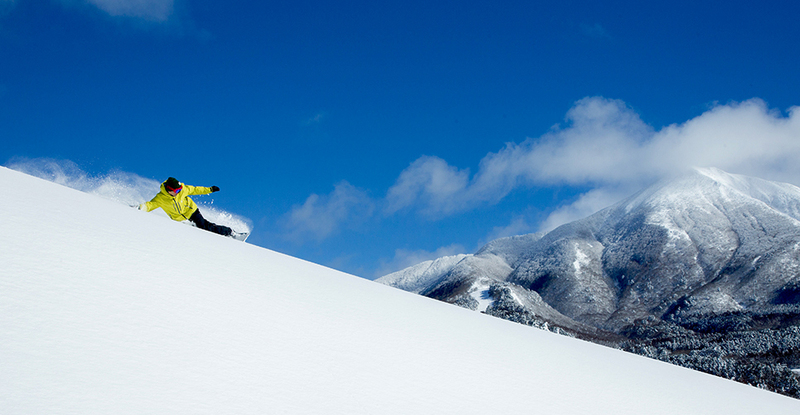 The ski areas in the Aizu Area are located to the north of Lake Inawashiro, around or near Mt. Bandai and. Mt Adatara. 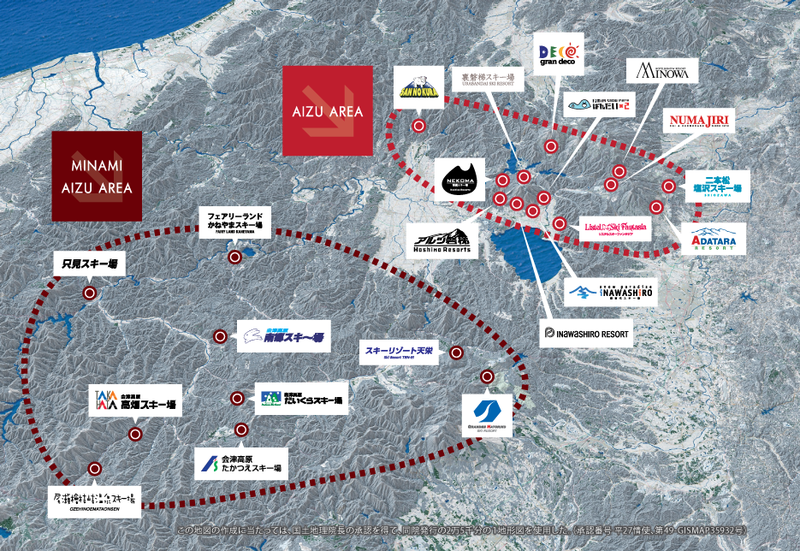 Popular resorts include Hoshino Resorts Alts Snow Park & Resort, Grandeco Snow Resort, Inawashiro and Hoshino Resorts Nekoma Snow Park & Resort. The ski areas in the Minami Aizu Area are located over a wider region to the south-west of Lake Inawashiro. Takatsue, Daikura and Takahata may be somewhat off the beaten track, but that in itself is one of their attractions for some. You won't be having any problems with lift-lines! For a full list of ski resorts in the region, see below. The number one reason why the ski resorts of the Aizu region are popular with skiers and snowboarders is without a doubt the quality of the snow. Low water content and high altitudes means the slopes across the region often enjoys quality dry powder snow. Aizu Wakamatsu city is a good place to stay and also enjoying delicious traditional and modern Japanese cuisine. There are also cultural attractions and traditional experiences to enjoy. Narita Airport and Haneda Airport near Tokyo are just a few hours away by train. The Tohoku Shinkansen (bullet train) from Tokyo Station takes about 80 minutes to get to Koriyama Station, and then a local train can get you straight to Aizu Wakamatsu. 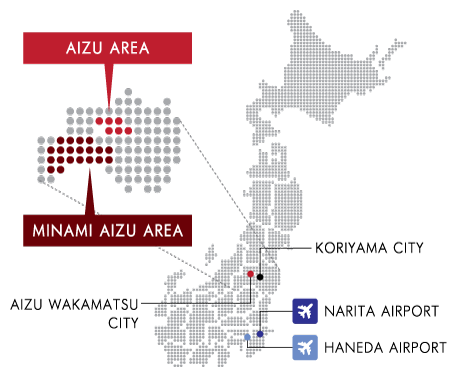 Aizu is the western region of Fukushima Prefecture. Of course, the events of March 2011 brought the name 'Fukushima' into the news for lots of negative reasons. 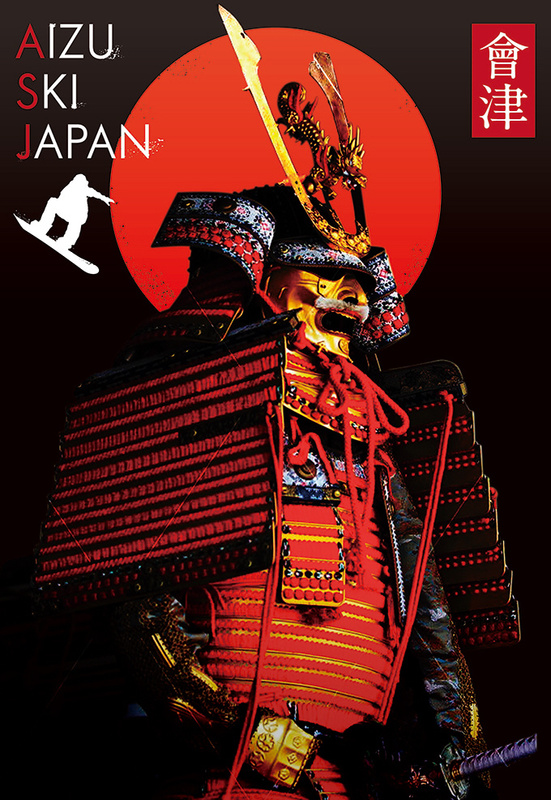 The ski resorts of Aizu are located considerably to the west of the eastern coastline. If you are worried about this, please do check out this official information page and read this leaflet (PDF file) for the latest official information. Please note that Aizu Kogen Takahata is a skiing-only area: snowboarding is not allowed. Skiing and snowboarding is allowed at all of the other ski areas.